No, I’m not talking about the Teenage Mutant Ninja Turtles. The heroes on the half-shell probably wouldn’t appreciate today’s recipe, although they might be willing to try it on pizza (with M&M’s, Gruyère, and cashews, perhaps). What else is green and fights bad guys? Brussels sprouts may have gotten a bad rap at the dinner table, but prepared properly they’re a delicious nutritional powerhouse. These little green buds belong to the cabbage family, and are high in dietary fiber, vitamin A, vitamin C, and folic acid. They also contain sulforaphane, which is believed to have anticancer properties. It’s important not to cook all the nutrients out of the sprouts, but overcooking is also responsible for the sulfurous odor and gray, mushy appearance that most people associate with this notorious V-E-G. Luckily, sautéing or roasting yields tender, vividly green orbs that are oddly addictive when caramelized. Brussels sprouts are best in the cold weather months, so consider including them in your holiday feast. If you can find the sprouts on the stalk at a local farmer’s market, so much the better. 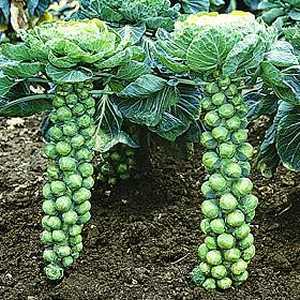 The sprouts will be fresher, and roasting them on the stalk makes for a dramatic presentation. My parents never inflicted Brussels sprouts on us. There was still something satisfying about convincing my dad (who grew up in the era of boiled vegetables) to try three bites, or what my mom calls a “no, thank you” portion. Several “no, thank yous” later, he was a Brussels sprouts convert. Preheat oven to 350. Line a baking sheet or roasting pan with foil. 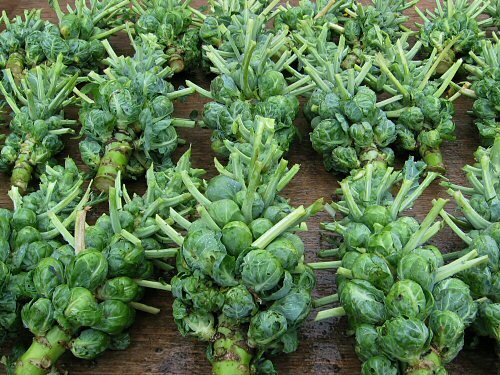 Rinse the sprouts, pat dry, pick off any wilted outer leaves, and trim the end of the stalk if it looks dried out. Place entire stalk in pan. Combine the oil and maple syrup and brush over the sprouts, coating all sides evenly. Reserve any leftover glaze for basting. Season to taste with salt and pepper. Place in oven and roast for 20-30 minutes, rotating stalk every 5 minutes for even cooking. Baste with extra glaze. 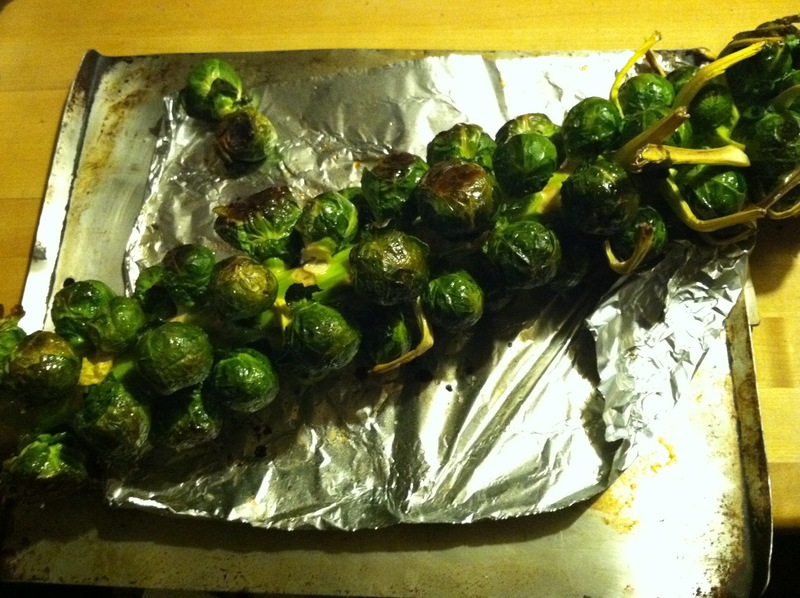 The sprouts are done when fork-tender and golden-brown. If you want to jazz up your sprouts, some additions that pair well include lemon zest, caramelized shallots, toasted nuts, finely-grated Parmesan, and tart fruits such as dried cranberries or pomegranate seeds.